As someone once said to me, “I love your daughter’s blog, but yours is all about learning.” I wasn’t sure how to respond, but I could tell that the speaker meant no ill-will; none taken. I’ve always really liked my birthday, but this one was very special, as I received beautiful greetings from so many friends and family members. In addition, it was the 10th anniversary of being a cancer survivor. I so remember when I was hoping for one more year of life; five was beyond my dreams. The two drugs, herceptin and arimidex, had just come off trial in March 2006, when I was diagnosed, and the doctor thought we should try. Way to go, Dr. Zhou! I am amazed by my good health and so very thankful. When I got on Facebook for my birthday, I started my day with a photo of this cake, which was created by a former student from Mallorca, Spain. This cake was created by Dawn Doig who now lives in Ulaabaatar, Mongolia. Dawn, how did you ever find turquoise food coloring in Ulaabaatar?! Thank you from the bottom of my heart. WinkWorld Readers, where in the world is Ulaabaatar, Mongolia? Next, I received this photo from my brother, Jim Richardson. Maybe I have seen this before, but I have no memory of this photo. Thank you, Jim, for this treasured gift. This photo really tugs at my heart, as my mother died of cancer less than a year before the picture was taken. I look at this photo and wonder: Who did my hair? Who washed and ironed that dress? I have no idea. 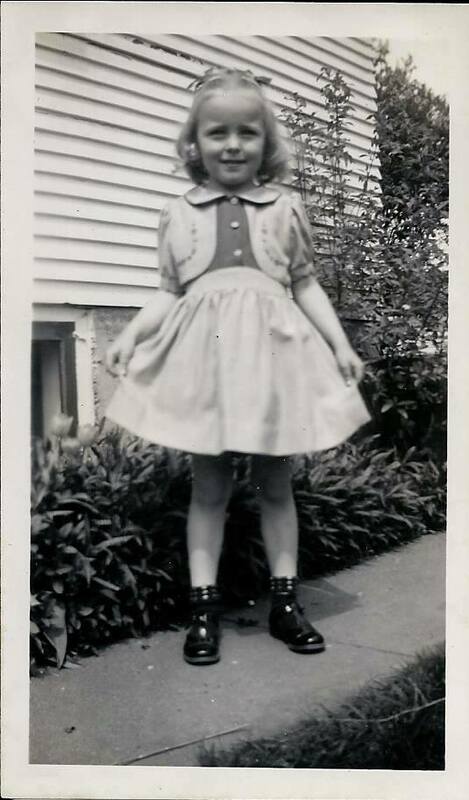 Yes, my blog is usually about “learning,” and this one is very personal. For the first 30 years of my career, I believed the idea that we must separate the professional from the personal. However, I started to notice that my personal life informs my professional life and visa versa. Now, I realize that I cannot separate who I am, as a person, from who I am as a professional. Once I realized this, I started bringing my whole self into my teaching and learning; the last 20 years of my career in education have been far richer and deeper. Yes, I started teaching 50 years ago. Life is crazy good. Oh Joan Richardson Wink! Ten years–wonderful! (20 for me). And 50 year teaching- that means I’ve known you even longer! And you are so right about how good life is! Carol Dunlap Kortan: Happy for your 20 years! Always good to hear from you. See you soon! Can’t wait. Love you right back. Such heart-felt words Joan. Congratulations on a wonderful life!!! Hi Ione, good to hear from you. Thanks. So right about letting students in on who you are as a person… I enjoy sharing in that way so that they feel comfortable doing the same. And when I spent time coaching high school swimming with my husband, I had very real examples to tell my Aquatics students. The same is true with the volunteer soccer board and encouraging students to promote physical activity in their communities. Thanks for being the positive encourager that you are and for demonstrating the courage that helped to heal you. Janice, I know you understand what I am saying about the personal and professional. Thanks for all YOU do! 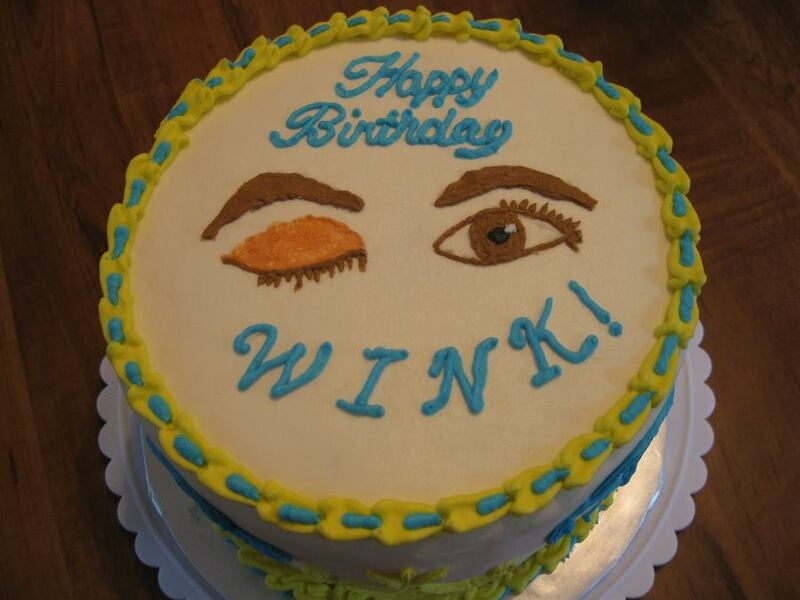 Happy Birthday Dr. Wink! It sounds like you have a lot to celebrate! I enjoy reading your blogs. I don’t know if you remember me, but I was a graduate student in your program and you were one of my advisors for my thesis. After I received my Masters Degree from California State Stanislaus in Turlock, I moved back to my home state of Pennsylvania. Since then, I have lived in Utah and Florida. I have come full circle and am back in California with my husband and 2 girls. I left teaching to raise my girls, but am hopeful to get a teaching position for this coming school year. (Fingers crossed!). Thanks for sharing your story! Of course, I remember you. I also remember your initials: HoH. Pretty cool. Glad to hear that you are back in CA, and I’ll look forward to hearing of your new career position, when the time is right. 25 years: Happy for you! Barbara, I so appreciate your kind words. You are so supportive. And, I am happy for your 25 years! Thank you for sharing Joan, I love the cake and the picture! You are such a great example of living life abundantly and you have blessed my life in an abundance of ways! I have a wonderful picture of us around the firepit before either you or Larry knew you were fighting the battle and I love it to this day, would have been summer 2005! Thanks, MK, clearly I will need to see the 2005 photo! Mom, this is beyond gorgeous. Thank you so much for sharing this. YOU are crazy good! Mom, this is beyond beautiful. Gorgeous, gorgeous. Don’t know how I missed this except for chemo brain. What a wonderful celebration, cake, birthday!! And it really lifted my spirits!! Thank you!! Joan K., sending our very best support as you begin your journey through chemo and beyond to restored health. Hugs. God continue to bless you and your family. Love you! Linda, thank you so much for your generous words. You really touched my heart. Sending love back to you. Sweet blog, mama Wink! Celebrating your continued vitality. Glad to be in touch with you and your amazing daughter. With love from Yuma. So good to read this! It has been ten years since I got my dream job. I love having my own class and all of my students feel like family members. What I always remember from your classes is to reflect. I do frequently and always come up with solutions to problems. Congrats on being cancer free!